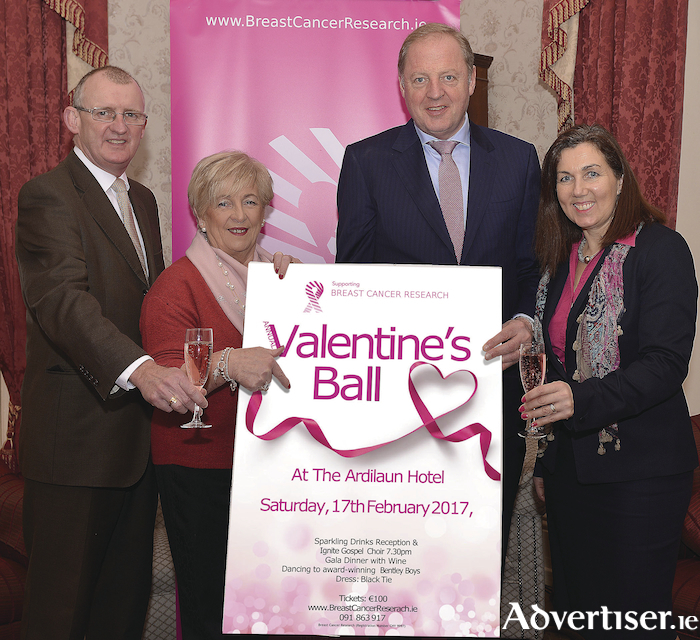 Advertiser.ie - Breast Cancer Research Valentine’s Ball! Getting things started in a glorious fashion this year is the Ignite Gospel Choir who will entertain guests as they arrive while enjoying a sparkling reception at 7.30pm, followed by gala dinner which will feature an auction and lots table prizes. Those attending will be treated to music by the award winning, Bentley Boys and dancing till late. Tickets for the black tie event are €100 each and available by calling 091 863 917 or emailing [email protected].